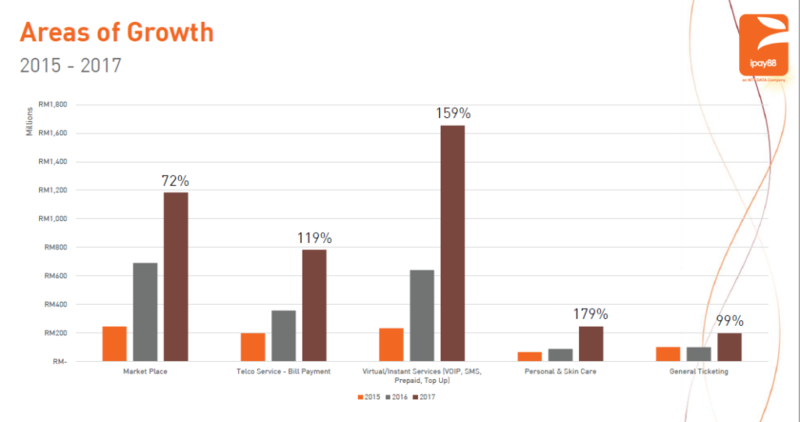 Malaysian-based iPay88, a provider of online payment service solutions in ASEAN shared its analysis findings of its 2017 data insights. Over the past 12 months of 2017, iPay88 recorded a total of 58.5 million online transactions on its payment gateway systems, increasing by 53.1 per cent from 2016. During the press conference, Chan Kok Long, Executive Director of iPay88, draws attention to the growth of mobile payments in Malaysia. 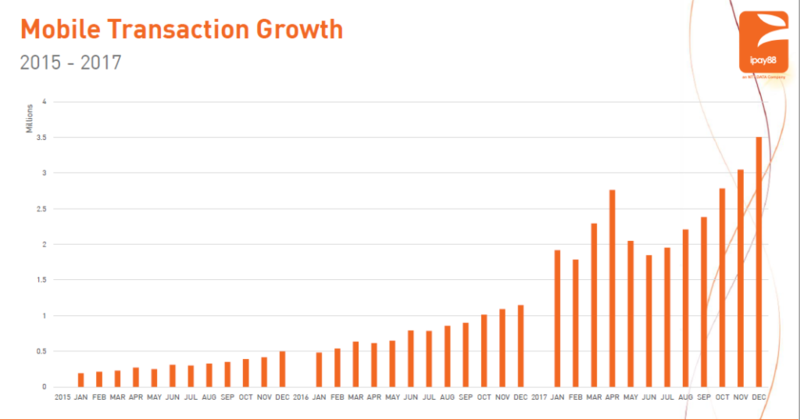 Meanwhile, iPay88’s data statistics show that desktop-based online transactions are stagnating at a constant fluctuation between 0.8 – 1.2 million per month, in 2017. “This year, the driver for mCommerce will be the trend of more creative mobile applications being launched for the online shopper, that combines location services, retail customer intelligence, payment solutions and social media experience,” Chan added. 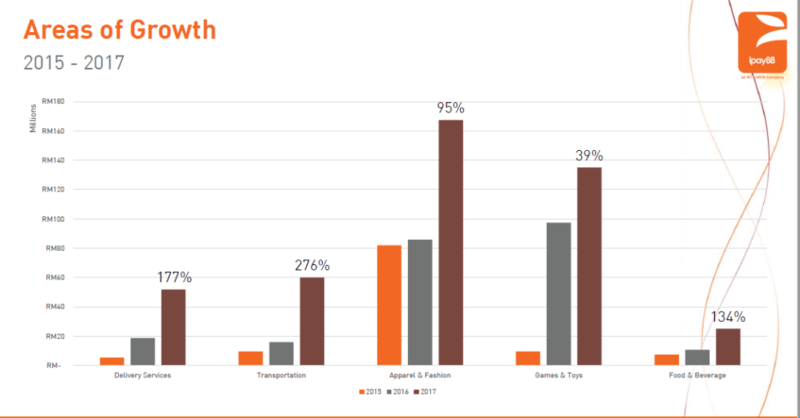 Apparel and fashion is the largest segment of where cashless transactions happens, whereas the transportation section shows the most growth in recent times. 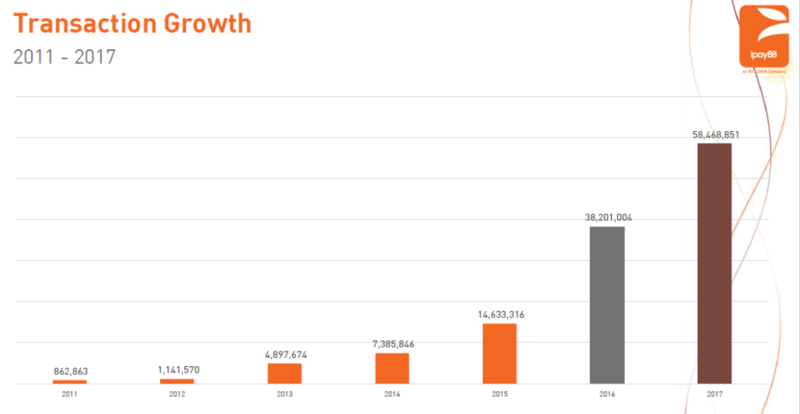 Between the months of January to December 2017, credit cards accounted for between 1.3 million – 2.4 million online payments each month. In comparison, there were between 2.5 million – 4.4 million online banking payments each month. “It is not to say that credit cards are becoming obsolete for online payment and shopping in Malaysia. 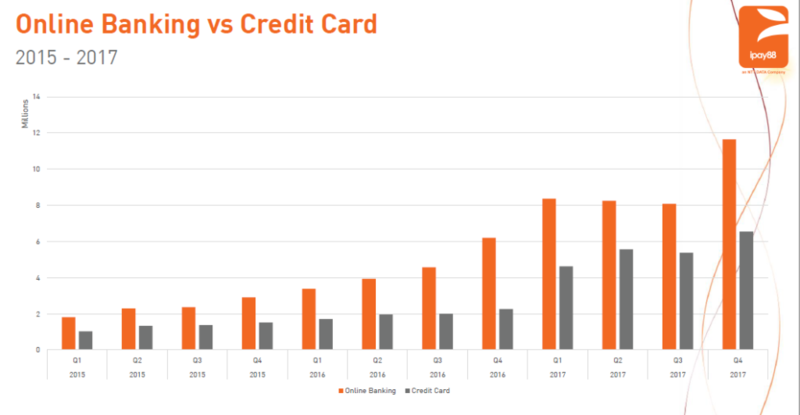 However, the choice of online banking is more attractive now and it is also generally positive because it advocates the habit of spending what you have in the bank, rather than buying on credit,” he adds. Unsurprisingly, Chan shares the opinion of many industry commentators that 2018 will be a year for digital wallets in Malaysia with many startups, telcos, banks, foreign players, and incumbents from other sectors throwing their hat in the ring. Not to be left out of this growing trend, Chan shares that with iPay88’s e-money license, they will soon be offering white-label services to those interested to launch their own digital wallet. He foresees that in the near future Malaysia mobile payments in Malaysia will be ubiquitous to the extent that payments can be made through QR codes in the “pasar malam” a colloquial term in Malaysia for night markets which many Malaysian frequent. This adoption by merchants according to Chan, will largely be driven by economies of scale when the likes of iPay88 offers white label services to various parties and by the implementation Malaysia’s Real-time Retail Payments Platform by Paynet. 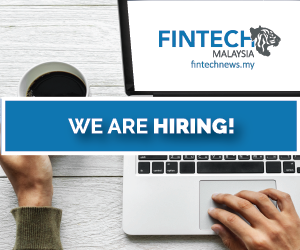 However, FintechNews Malaysia believes that Malaysia is still a long way from achieving the status of cashless society. When compared to nations like China who essentially leap-frogged payments cards, Malaysia for better or for worse enjoys a relatively decent ecosystem for cards payments which can prove to be a challenge to switch consumer behaviours from cards to mobile wallets. Coupled with the increasingly fragmented market of more and more mobile wallets coming in the picture, we believe that this will further add to the challenge of Malaysia achieving its cashless ambitions. While all is not bleak, it is our opinion that Malaysia will only achieve a cashless society once we see more adoption from merchants and consolidation from the digital payments market.